I have been thinking of many titles for this post. As an analyst, I want to be able to explain to the viewer what the new technology we’re using means on a particular play and I have about eight seconds to do it before the next pitch. Quite a challenge. As fans, you will soon be exposed to Statcast. MLB has invested a lot of money in it. Without trying to make it too complicated, I will give you one example. A center fielder runs down a fly ball in the gap and makes a spectacular catch. Statcast says he ran 35 feet in x.x seconds to make the play. What I need as an analyst to put this in perspective for you is how much ground does the average center fielder cover in the same amount of time this center fielder covered. Also, did he get a good jump on the ball off the bat? What was his reaction time? From a TV producer’s perspective, he or she will have to put together a replay showing all of this after the next pitch is thrown and get it to you in about eight seconds. Welcome to the new age of technology in baseball. Viewers can have a lot of fun with this and it could be very entertaining, but we have to be able to make it understandable for you watching at home. MLB will be testing this in Spring Training and educating us so we can make it clear to you. My job as an analyst and former player is to communicate to you that baseball still is more art than science. I hope someday there are two MLB Network channels. One that can show all the technology applications explaining the speed with which things happened on the field. The other channel would show the game as an art form. The athleticism of a shortstop making a play in the hole, twisting and turning and making an off balance throw to get the runner by a step. I saw Derek Jeter make those for 20 years! That’s the part of the game I enjoy. I don’t really care how many seconds it took him to do it or how much ground he covered. I just enjoy the beauty of the play because having played the game, I understand the difficulty and the skill involved. My point? Who is entering this data and can we trust its accuracy? When a hitter has a high OPS (On-Base Plus Slugging) did he do his damage in the fifth inning when the score was 8-0 or did he get a key hit in the eighth against an elite pitcher in a 1-1 game. My teammates Harmon Killebrew and Tony Oliva got a lot of their hits off top-level pitchers late in close games. Can we measure that? What I cannot overlook as a former player is that the game is played by humans not robots. We feel slightly different each time we perform. Body function, family life and outside distractions all can affect the way a player performs on a particular day or night. There is no acronym for that. Another item I take issue with are Spring Training stats. Sure, go ahead and keep the game score, but not individual stats. Why? the conditions that games are played in are completely different than when they are played in Major League multi-tier stadiums on flawless fields. Florida and Arizona fields get baked out and hard and are more difficult to field ground balls on. The wind usually blows out in Florida, turning routine fly balls into home runs. The challenge for management is to be able to evaluate the talent without using statistics. I remember back in the late 60s when Graig Nettles made a few errors on the hard, rocky infield at Tinker Field in Orlando. Consequently, our owner and GM Calvin Griffith had him moved to the outfield because he didn’t think Graig could play third base. Two years later, the Twins traded him to the Indians and most of you know he eventually became a terrific third baseman for the Yankees and was a big part of their World Series-winning teams in 1977 and 1978. I like the way my friend, Hall of Fame coach Bill Parcells, handled veterans in preseason football games. At some point in training camp, he would tell the player that he had to show him he could still “do it.” I would feel the same way about a veteran baseball player. You don’t need a stat sheet, you just need several sets of eyes that can evaluate talent. It is called “Spring Training,” not “Spring Performing.” I think we might have fewer injuries if we treated it more like training. I have seen highlights of a few games and I see pitchers taking signs from the catcher and throwing breaking pitches, but the radar gun — if accurate — shows fastballs in the high 90s. I never used catchers signs my first few times out in spring training. It was like pitching batting practice to the opposition. I honestly can say I never left Spring Training with an arm issue and was fresh most Septembers, usually ending up with over 250 innings (and a couple years over 300) innings pitched. Today’s pitchers are stronger and more talented than I was, and maybe with more relaxed training in the spring and less interest in performance, we can eliminate some injuries and see our stars healthy in September when it counts the most. It’s a wonderful time of year for all of us who are baseball fans. At Spring Training games you have more access to the players, thanks to less expensive seats closer to the field, where you see all the young talents who will be stars in the near future. I remember watching Giancarlo Stanton a few springs ago when he was still Mike Stanton. I was standing next to Hall of Famer Tony Perez and Tony was telling me how he warned all the Marlins coaches to leave Stanton alone. “Don’t change a thing and he will become a star.” Now, $325 million later he is a mega-star. I would encourage you to just watch the agility, the foot work, the power and the speed of today’s players first, and then if you enjoy the technology available, you can do that for fun. My hope is that this will be the norm and not the exception. Everyone in the media — including some who played the game — were aghast that Madison was able to do what he did. 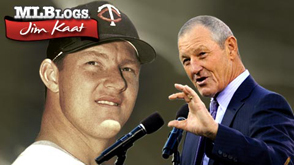 Are they too young to remember what Lew Burdette did for the Braves in the 50s, what Sandy Koufax did against me and the Twins in 1965, and Mickey Lolich (who gets left out of too many conversations) for what he did in 1968 with the Tigers? All pitched and won games in the World Series on two days rest. And all were complete games. (Lolich also homered in one of his wins.) That was the norm in that era. We were not any stronger, better, or bigger than any of today’s pitchers, but we were trained differently. Madison Bumgarner proved it can be done today. Unfortunately, organizations have continued to drink the Kool-Aid that says pitch counts, innings restrictions, and extra rest will help prevent injury and possibly improve performance. Most of those who preach that probably never have pitched in the big leagues. I “only” can speak from the experience of 25 seasons, over 4,500 innings, a couple seasons of over 40 starts and 300 innings that IT WILL RUST OUT BEFORE IT WILL WEAR OUT! I will concede that occasionally an extra day between starts could be beneficial if you start 40 games a year but I guarantee you that your control and rhythm and ability to repeat your delivery will be better. I really believe there would be fewer walks, more strikes thrown and fewer injuries. Check out MadBum’s strike/ball ratio in Game 7 with two days rest: 68 pitches, 50 strikes. I know doctors personally who tell me the rash of elbow injuries in baseball does not come from overuse in the big leagues but with overuse as pitchers in Little League and travel team competitions. Too much stress on the arm at a young age, trying to throw too hard before their bodies are developed completely. I understand that my words here will fall on deaf ears, as they did when I spoke out about shutting down Stephen Strasburg in 2012, when I think the Nationals could have ridden him to a world championship like the Giants did with you-know-who. But I am and will continue to be unwavering in my stance on this subject. I take it as a compliment when the modern numbers nerds and stat geeks ignore my opinions, because I don’t accept the modern logic. I hope in my lifetime some combination of GM, agent, manager and pitching coach will start in the lowest minors to train pitchers to do what Madison did that thrilled us all who believe in what pitchers can achieve if given the opportunity. Like Jack McKeon trained me when he was my catcher/manager in 1958 in Class C ball in Missoula, Montana. In the sixth inning, a few men on, nobody out, Jack would trot out to the mound, spit a little tobacco juice on my shoe and say’ Figure out a way to get out of this, Kid.” Sometimes I would, sometimes I wouldn’t; but I eventually learned how to pitch out of late-inning jams. As the late, great Warren Spahn told me in the early 60s when he was kind enough to give a curious 23-year old lefty a pitching lesson, “Kid, when the game is tied in the seventh inning, the game’s just starting. Wouldn’t we all love to see Madison Bumgarner and Clayton Kershaw go toe to toe for nine innings? I’ll buy a ticket to see that one! Salvador Perez is some catcher, Brandon Crawford is some shortstop and Lorenzo Cain is going to sign a big contract one day like Torii Hunter did. “Boch” is going to the Hall of Fame. My earlier memory of him? I was Pete Rose’s pitching coach in 1985. On September 11 at 8:11 pm, Pete singled to left center off the late Eric Show to break Ty Cobb’s all-time career hits record. The Padres catcher was Bruce Bochy. The Giants announcing team of Kruk and Kuip is as good a listen as any announcing combo on the planet. Thanks Ned Yost for the classy way you handled losing a tough Game 7. I loved George Brett’s comment on the pregame show: “Hitters have become too robotic instead of ‘look for the ball and react'” That’s why strikeouts are at an all-time high. Read all the advance scouting reports that say, “With two strikes, this pitcher throws a slider 81 percent of the time,” and then he slips a fastball by you. Good luck with that kind of approach. I respect Eric Hosmer’s ability and postseason performance, but if he swung that hard on every pitch I threw and lunged over the plate like he does, he would have to get a pitch under his armpits to make him back away. Hitters tend to swing like the ball is on a tee with no fear of being made to move their feet back. I’d loosen up on the brushback rule before I’d make catchers give runs away because they can’t protect the plate. Along those lines, I guess all winter long people will be questioning Royals third base coach Mike Jirschele’s decision to hold Alex Gordon at third. How about this scene: Jirschele sends him, there’s a close play at the plate, and Gordon is called out. But… it appears Buster Posey may have had the toe of his shoe too close to the plate. We wait out a five-minute replay and Commissioner Selig, Joe Torre and Tony La Russa are called in to have a vote. TWo of the three overturn the call and we head to the 10th tied at 3! Or… Gordon is called safe at home, but it is reviewed and Gordon just touched Posey’s left foot when he was in front of the plate to knock him off balance and the safe call is overturned! Could happen. Let’s hope it never does. Joe Panik should have been given some kind of award for the DP he started in Game 7. Pretty good chance the Royals win if he doesn’t make that play. The Royals would have taken the lead and may never have had to face MadBum! I love it when plays like that happen, because you can’t do a graphic on TV like a pie chart or a shift alignment to explain what happened. It’s the art and skill of the game and the reaction of world-class baseball players. You really have to be at field level to see how fast things happen in a slow-moving 3.5-hour game. Hope you enjoyed the postseason games as much as I did. Now what do we do? The Breeders Cup is on this weekend. That helps. You couldn’t pay me enough to watch an NBA or NFL game. I’m glad the PGA now is almost a year-round season. Let’s see… I guess it’s only 14 weeks until pitchers and catchers report. I can’t wait. I look forward to having the opportunity to enjoy my 59th season following the most intriguing game on the planet. What a great time to be a baseball fan and then having the advantage of being a former player as well. I wish these Division Series games could go on forever. Compelling games that really expose what determines a win or loss, these are much more entertaining to me as a fan, because you see so many different teams in a short period of time. The LCS and World series drag on too long. These games are pleasing to me because they expose how the endless metrics and stats that inundate us with have very little to do with who wins or loses. It’s not pitch count, it’s pitch selection and execution. More on that later. 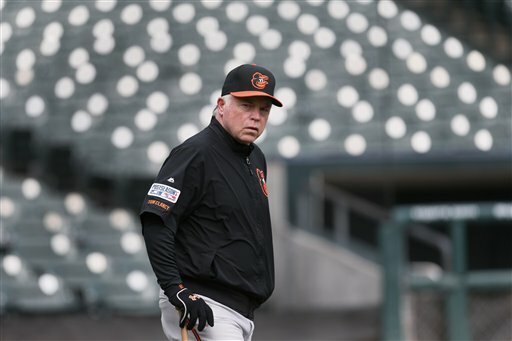 It’s been a real pleasure for me to see the maturation of Buck Showalter as a manager. I was announcing Yankee games in 1995 when Buck was managing them. He was not as free to be himself then because, well, because they were the Yankees and George Steinbrenner and his ‘baseball people’ were still a little heavy-handed during that time and looking over his shoulder. Now he’s become the most delightful, insightful, secure, unguarded manager I talk to for pregame preparation. How about him leaving a lefty, Andrew Miller, in to face Miggy? How many managers today would have the guts to do that? And walk the winning run intentionally? Great move. Brad Ausmus had no power hitters left on his bench. Speaking of Ausmus, did you know three of the four managers in this season’s LCS are former catchers? Six of the 10 teams that qualified for the postseason were managed by former catchers. As a former player and coach and current announcer for MLB Network, over the past 58 years I have had the advantage and privilege of being in uniform for over 4,000 Major League games, and in the broadcast booth for another 2,000. What I have learned from those games is that it is not the pitch counts, innings restrictions, OPS, WAR, WHIP, or any other acronym that determines who is going to win or lose. As our friend Joe Torre said many years ago, the key is to be “intense without being tense” — a fluid motion and less grip pressure on the ball and bat. The four teams that did that the best are the four teams still standing. None of the four were favored to win by most people. They all certainly surprised and impressed me. When are we going to quit “drinking the Kool-Aid” served by those who have never worn a Major League uniform or experienced what it is like to be in the game? There are hard-working managers and coaches who could have much more influence on their teams and players if they didn’t have to be subjected to the metrics handed down from above. My longtime friend and teammate, Hall of Fame broadcaster Tim McCarver, and I delight in being accused of not embracing a lot of the metrics. We take it as a compliment! Let’s go back to pitch counts. I’m sure there is a lot of discussion today about Clayton Kershaw’s pitch count coming back on “just” three days rest. Let me go back to Game 7 of the 1965 World Series when our Minnesota Twins were playing the Dodgers. Sandy Koufax was pitching with two days of rest, coming off a complete game shutout in Game 5. He had an average curveball by his standards the first five innings, and then it lost its bite and he threw nothing but well-located fastballs the final four innings. The result was a 2-0 shutout. Last night’s Cardinals-Dodgers game solidified my thinking that there are more late-inning, game-winning hits off poorly thrown breaking balls than fastballs. Former coaches Eddie Lopat and Johnny Sain, both curveball specialists, taught me that early in my career. If you watched Kershaw’s curve in the early innings, it was crisp and sharp. Then it began to lose its bite. 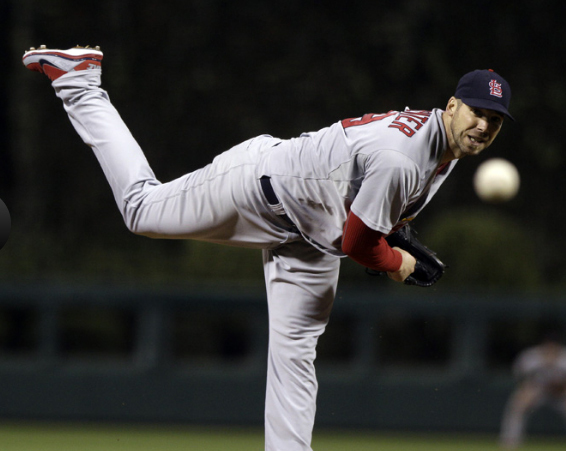 Cardinals pitcher Adam Wainwright predicted Matt Adams would hit a curveball out if he got one. He probably could see from the bench what I saw on TV. I would never second guess the call of A.J. Ellis or Kershaw in throwing the curve. The pitcher and catcher know better than anyone in the park which pitch they think is best. It’s the execution. As Eddie Lopat taught me, if you throw a curveball late in the game when it isn’t as sharp, you try to throw it “lower than low.” Try to bounce it on the plate and it will come in at the knees. It always seems to come in a little higher than you intended. Taking starting pitchers out when they are rolling along is another area where gut and art are better than metrics. Jordan Zimmermann was rolling along like a freight train. Why stop the train? It’s like taking the starting catcher out for a pinch hitter when he and the pitcher have a shutout going. 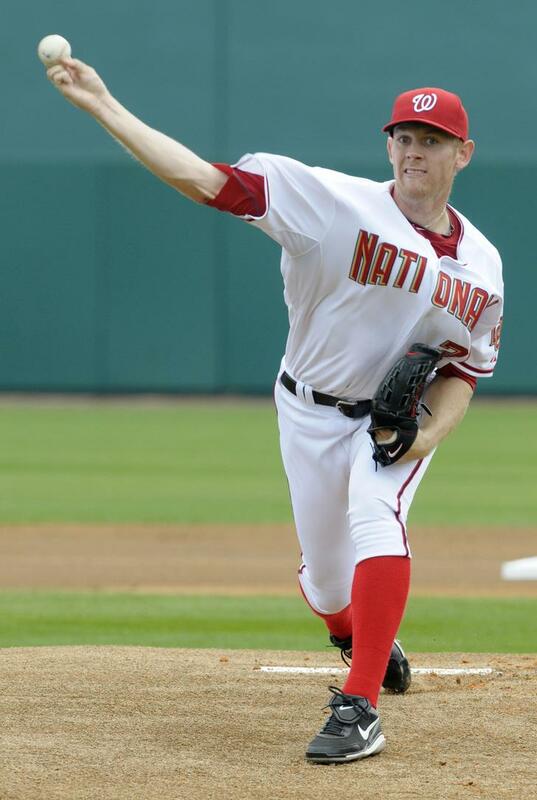 There was more pressure on Drew Storen in that situation than on Zimmermann. He had the feel of the ball, fluid motion, could smell the finish line. Why stop him? Probably because the organization’s protocol is that this is what we do in the ninth inning when the pitch count hits 100. What a shame that our game has come to be science rather than art and feel. I’m sure Matt Williams was influenced by how things are done day after day, regardless of the situation. I like Kansas City’s “Moneyball” — not walks and home runs and taking pitches, but stolen bases, sacrifice bunts, great fielders and an outstanding bullpen. That’s moneyball for me. Another item that those of us that have been in the game for a while have long recognized: the three men who affect the outcome of a game the most are the two starting pitchers and the home plate umpire. The last couple of Cardinals-Dodgers games were good indicators. Umpires are people not robots. They all interpret the strike zone differently. As Buck Showalter told me earlier this year, “Some umpires hunt strikes; some hunt balls.” I know Dale Scott, Eric Cooper and several of the umpires. “Scotty” has always had a pitcher-friendly zone. In my era, Ed Runge was that way, too. His motto was, “They didn’t come to see you walk.” Eddie Hurley was just the opposite. I called him “Cracker Box,” because that was the size of his strike zone. There is no doubt that if a different umpire had been behind the plate in some of these Division Series games, the outcome may have been different. But they’re human and they’re the best in the business. Now, I do embrace some numbers. My favorite set of numbers is the final score. Score one more than the opposition, you win 100 percent of the time. Nice percentage. The number three is scored most of the time according to the 25-year database my friend Merrianna McCully has in her book, Three Up – Three Down. Two runs is second most common. It’s interesting that three runs were scored by one team on eight occasions in the 26 Division Series games this year. The team scoring three runs won six of those. Impressive starting pitching, great fielding plays and lockdown bullpens enabled that. Two runs were scored seven times, with just two wins out of those seven games. Four or more runs were scored eight times, and those teams’ record in those games was 6-2. That’s the norm during the season. If you score four or more every game, you should win the series. Not eight one day and none the next. Averages are meaningless. A consistent four runs is what you shoot for every game. You can see how that “swing run” is a little lower with these four teams left. Three runs might be enough. Enjoy the rest of the postseason. I hope these LCS and World Series games are as good as the Division Series games! Stephen, I’ve never met you but I’ve seen you pitch and you are special. I announced your debut on our MLB Network with Bob Costas and John Smoltz. I was very impressed. I imagined being you. I made my debut in 1959 at age 20 and lasted 2 1/3. Never struck out a batter. Took the loss. What you did that night amazed me. I don’t know if I could have found the strike zone with all the advance hype and the high expectations heaped on you. It was quite a treat to witness what you did. Now I get to visit with the managers and sometimes the coaches when I come in to announce a game on MLB, but I seldom get time with the players. Organizations protect their young stars from media and I don’t blame them. I have heard comments from people from a lot of different stations in life on what should be done about limiting your innings that you pitch this season. Executives, sportswriters, former players and pitchers, TV analysts from not only baseball but also football and other sports! Even some national news correspondents have weighed in on the subject. Your manager, Davey Johnson, is a former teammate and friend, a man for whom I have great respect. He’s in a tough position. He wants to do the right thing. But Davey, like many of the people who have commented on this, has never pitched. I can only talk to you as a former pitcher who wanted to be a Major League pitcher since he was 8. My motivation was to pitch in the big leagues, pitch in an All-Star game, pitch in a World Series. You have done two of those three. I can only tell you as one who pitched in two World Series that doing that is the ultimate prize in Major League Baseball. I was fortunate to do it at age 26. Hooked up with the great Sandy Koufax three times in 1965. Had a chance to be a World Series MVP. Sandy denied me that with his great performance. It was 17 years later when I finally got a chance to participate in a World Series again. That’s still a record for the most years between World Series appearances. We won that one. The Cardinals beat the Brewers. I had very little to do with it but it remains my top moment in baseball. The money is nice but the ring is the thing for an athlete. It ranks high above pitching for 25 seasons in the Majors, 283 wins, 16 Gold Gloves, an All-Star Game where I faced Willie Mays, Roberto Clemente and Hank Aaron. Being on a World Series winner is the ultimate prize. We just had our 30-year reunion in St. Louis, celebrating our World Series win in 1982. Those are memories you’ll always have no matter how long you pitch. If you can imagine what it would feel like to ride down Pennsylvania Avenue in a victory parade with your teammates and wave to the White house and hundreds of thousands of Nationals fans and feel that feeling . . . . you would give a lot of thought to whether it was right or wrong not to pitch anymore this season. It’s easy for me to say as it was for many pitchers before me who pitched in the Fall Classic. Warren Spahn, Whitey Ford, Bob Gibson, Tom Seaver, Catfish Hunter, Koufax, Jim Palmer, Jack Morris, many more. We gave no thought to what the condition of our arm might be next year. This was the World Series — the ultimate stage. Who knows if we’d ever get back there again? Give this some thought. It’s not Mike Rizzo’s career or Scott Boras’s or Davey Johnson’s or even your that of your parents. It’s yours. Do what you want to do, not what others think you should do. Selfishly, I would love to see you pitch in a World Series for the city where I made my debut. The Washington Senators were known for “First in war, first in peace, last in the American League.” You have a chance to do what the great Walter Johnson did for Washington. No one since. Let me ask you this: “Did you have any symptoms before you injured your arm? Anything that led you to believe you were going to injure it on your next pitch?” I didn’t. 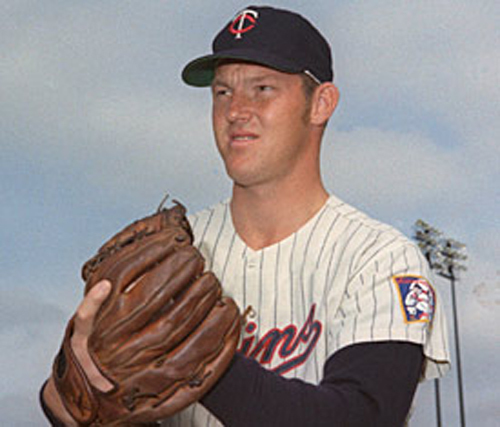 I was having the best month of pitching I ever had in September of 1967 when — “pop” — there went my elbow. We pitchers really don’t know when it’s going to happen or if it ever will happen, do we? It’s a fragile profession. I’m just happy I never had to make the decision you should be able to make. If my GM told me in September of 1965 that he was going to shut me down and not allow me a chance to pitch in the World Series, knowing my stubborn Dutch nature, he would have had quite an argument on his hands. My Dad’s biggest thrill was watching me pitch in the World Series. It would have haunted me the rest of my life if I had deprived him of that. Gaylord Perry and Phil Niekro were Hall of Fame pitchers but never got to experience the ultimate prize. Good luck with your decision, Stephen. But please remember — it’s your career, your arm, your decision. Nobody’s else’s. Will we finally get The Real Deal? Yu Darvish. 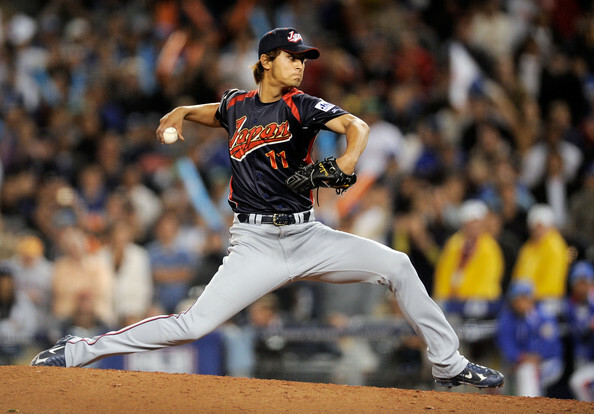 He appears to be the most successful, celebrated, hyped Asian pitcher to sign with a Major League team since Hideki Irabu. 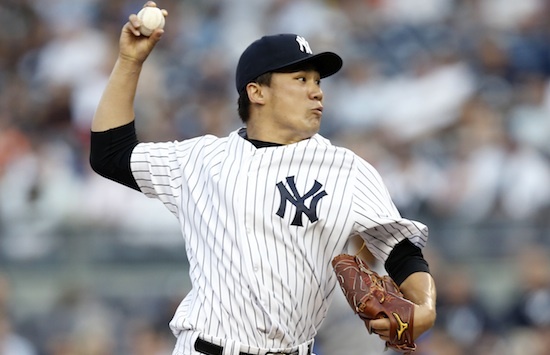 So, on to Asian pitchers coming to America with the potential to dominate the Major Leagues. Hideo Nomo, Irabu, Dice-K, Hiroki Kuroda, and Kei Igawa, the biggest disappointment of all for over $40 million. Potentially the best one I saw up close was Chien-Ming Wang from Taiwan. A near Cy Young Award-winner before he injured his foot/ankle running the bases. Can’t Major League teams take a little time to teach pitchers how to slide and make proper turns running the bases? I learned from the great George Case early in my career and was used as a pinch runner often. Even stole a base at age 41, the oldest to do it until Greg Maddux one-upped me by a month or two. However, my most serious injuries during 25 Major League seasons were from sliding. Slid too hard into second to break up a double play and into third beating a throw from the outfield. Broken wrist on one and cracked kneecap on another. My technique was good. I just slid too hard. I figure it cost me about 25 to 30 wins. If I didn’t learn from George as a young player, they probably would never had used me to pinch run. Used to pinch run for my teammates Harmon Killebrew and Greg Luzinski. Okay, enough about me and my ill-fated slides. Wang had a devastating hard sinker. You could count on him to get at least 75 percent of his outs on infield groundouts. Stress-free motion, no hard breaking ball to put stress on his elbow. I thought he was going to be “The One” until the foot/ankle injury. This brings me to Irabu and how the hype from Japan can be deceiving. I was preparing to announce a Yankee game in Chicago when Jim Fregosi, former All-Star Shortstop with the Angels and longtime scout and manager in the Majors, began telling me about Irabu. He had been scouting him. The phrase that stood out was when he said, “He’s Clemens when Roger was in his prime.” That will get your attention. 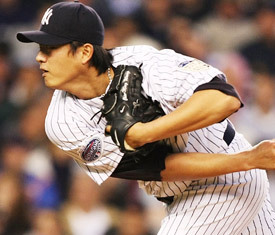 Hideki had a great splitter, but his fastball didn’t seem to be as fast as the advanced hype. Now, here is one thing to look for from Darvish and I hope he can deal with it: The hitters here are bigger, stronger, and more intimidating than the hitters in the Asian leagues. 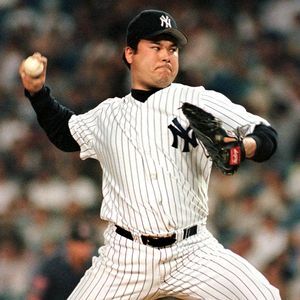 I will never forget the defining moment for me when Hideki Irabu’s confidence in his fastball was shattered. He gave up a monstrous home run in Yankee Stadium to Matt Williams when Matt was playing for the Indians. It was off Irabu’s fastball. Our crack TV crew had a shot of Irabu from our center field camera as Hideki was facing center field. The expression on his face was priceless. Mouth open, eyes wide open like he had never experienced anything like that. And he probably hadn’t. The challenge for all pitchers — and I experienced it myself when Mantle and Colavito and other power hitters turned my best fastball around — is to have the nerves to keep challenging hitters and throw it for strikes. We have seen time and time again that the pitchers who come over here from Asia don’t have the confidence to consistently challenge Major League hitters with their fastball. All except Wang, and he is on the way back. I hope he makes it. Did you ever watch Dice-K pitch? Painful. He’d rather bite the head off a rattlesnake than throw his fastball for a strike. He was actually a long relief pitcher even when he was winning games, because with today’s pitch count limitations he was over his limit in the 5th inning most of the time. So, I’lll be keeping a close eye on Yu Darvish and see if he is finally the one to be able to challenge and dominate our bigger, more powerful big league hitters. For his and the Rangers’ sake, I hope he does. It will be good for the game and the Rangers profit and loss statement! October is an exciting time of year for baseball fans and I am a fan as well as a former player and now, a member of the MLB Network announcing team. So I thought I would revive Kaat’s Korner and blog some of my thoughts. I started Kaat’s Korner in the late ’80s as a pregame segment on the Minnesota Twins Cable Network when I was announcing their games. I also did some blogging for YES while a member of the Yankees’ announcing team. Of course, the original K-Korner will and always should be credited to my friend Ralph Kiner, who had his show called “Kiner’s Korner” since the early 1960s on Mets telecasts. That title itself was based on his old “Kiner’s Korner” section of home run seats in left field at Pittsburgh’s Forbes Field in the 1940s, replacing Hank Greenberg’s “Greenberg’s Gardens” there. Those slugging roots notwithstanding, I am going to start with my favorite topic: pitching. The real “money” ball players, as I have often good-naturedly chided “Moneyball” central figure Billy Beane, are pitchers. 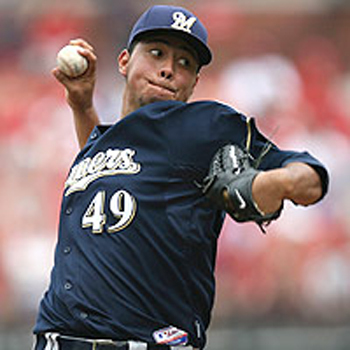 No disrepect to the likes of Ryan Braun and Albert Pujols, but it is still about which team pitches best usually wins. Oakland had Barry Zito, Tim Hudson and Mark Mulder as their starters when “Moneyball” became a term that some experts glommed onto as the reason for a team’s success. They were hard to find in the movie. I guess Yogi Berra and Kirby Puckett could not have played for a team that operated on the “Moneyball” theory. They seldom walked or struck out or took a lot of pitches! OK, back to pitching. I think the classic duel between Chris Carpenter and Roy Halladay in Game 5 of the National League Division Series should be required watching for every pitcher — amateur, Minor or Major Leaguer. Watch the videos on MLB.com and study how Carpenter and Halladay went about their business. Pay attention to the pace with which they worked, the methodical, rhythmic, consistent time between pitches. There was not much hesitation. They never seemed to have any doubt about what they wanted to do with the next pitch. They pitched like the hitter was just someone standing in their way. They seemed to say: “I challenge you to hit this pitch, I’m not afraid you’re going to hit it.” They had no apparent fear of contact and pitched their pitches with conviction. I refuse to say “threw their pitches” because these two are not “brain-dead heavers.” That’s a term pitchers in the past 10 to 15 years have coined for those who are infatuated with how fast their fastballs are clocked. They are throwers, not pitchers. Justin Verlander was a thrower as were most of us in our early days in the Majors, but he has become a “pitcher.” Look at the results this year. Those Game 5 results took me back to the World Series games between the Yankees and Braves in the 1950s when Lew Burdette, Warren Spahn, Whitey Ford and Bob Turley were hooking up in similar pitching duels. I didn’t miss a pitch. That was pitching at its highest level, like Sandy Koufax and Bob Gibson. I smiled as I read comments about how some players on other teams do not like Carpenter. He seems to be mean or brusque or unfriendly. Good on ya’, Chris. That’s the way it should be! Not many liked Gibson, either. I wish more hitters would have hated me. My problem was the opposite. They sent a limo for me on the day I pitched so I’d get to the park safely and they could run up to the plate and swing. I wish I’d have known Chris Carpenter back then. For me, other pitchers this postseason who are enjoyable to watch, whether they won or not, have been Cliff Lee, Ian Kennedy, Yovani Gallardo, most of the Texas staff. They give you the impression they are in control of the game and are going to dictate the pace. I wish there were more of them. I announced some Red Sox games in September and, living in Vermont in the summer, I watched a lot of them as well. Jon Lester and Josh Beckett are high-quality pitchers, but — and I mentioned this to my friend Terry Francona on more than one occasion — they began to pitch like they were stuck in quicksand in September. No energy, no pace. They appeared to have scouting-reportitis. That’s a disease pitchers suffer when they have studied hitters’ weaknesses to the point where they do not “trust their stuff” and worry about the hitter making contact. I look forward to seeing more performances like I saw from Chris and Roy. There are too few of them these days.